Many of us buy cars with so much love but face problem in maintaining it. So, here am sharing a few tips for maintaining a car so that most of the problems could be solved without visiting mechanic frequently. the more you use the car , engine oil will start reducing, so make sure that oil is in sufficient quantity and check for any leakages too. observe if your pipes got swollen or holes in it because this can stop your car in middle of the road. 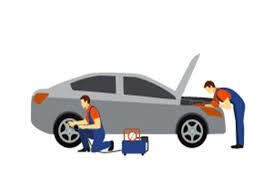 so , these are the tips for proper functioning of your car , if you have any tips share with me in the comment box below. Thanks for reading.